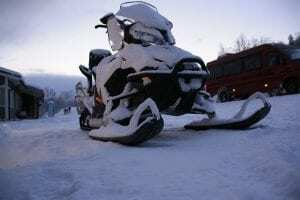 Remsen, NY (March 18, 2019) – After losing control of his snowmobile, a central New York man has tragically been pronounced dead, according to authorities. The fatal accident was reported to have happened on Sunday night, March 17th. According to the Oneida County Sheriff’s Office, 26-year-old Benjamin Lahan, of Liverpool, had been riding along when he crashed for reasons that have not been determined. According to police, it is likely that Lahan crashed into a tree, although the reasons are actively unknown. The victim was reported to have been with several other people at the time of the accident; however, the victim had traveled ahead of his friends just prior to the accident. According to authorities, the victim struck a tree, although that determination is currently under investigation. Before moving on, we would first and foremost like to extend our deepest condolences to the loved ones of Benjamin Lahan, as we sincerely maintain hope for the full recovery of his family. Following a New York car accident, it is very important to understand that, as the victim, you may likely have significant rights moving forward, especially in the event that you lost a loved one due to someone else’s negligent behavior.